The iPhone 6 and 6S has arrived with a bang. Apple has taken care of all the shortcomings of its earlier versions. These new versions are simply out of the ordinary. They can give you a heady experience. They have great features, some of which are mind blogging. However, they are machines. Machines can fail occasionally. You need to have a trained and experienced service engineer to take care of such an eventuality. You cannot go running every now and then to an Apple service center. They can burn a hole in your pocket. Therefore, what other options do you have? Look no further. We, “ LA iPhone Screen Repair, iPad Screen Repair, and Unlock iPhone Center,” are there for you. We have earned a reputation of being one of the best phone repairers in the city of Los Angeles. We have our main office at 1415 S La Cienega Blvd. Los Angeles, California. We are renowned for our fantastic speed of service. People also know us for the low prices we command in comparison with our peers. We primarily deal in repairs and unlocking of practically any make of phone as well as other electronic devices. Our specialty is the iPhone, iPad, and the iPod. However, we also service Android based instruments such as Samsung phones and tablets too. As far as the iPhone is concerned, we have experts to deal with all the versions of the iPhone right from the first one to the latest iPhone 6 and 6S. We can handle any type of smart phone for that matter. In addition to the usual servicing and repairs of phones, we take pride in fixing other problems too. You know that smart phone screens are liable to crack in case they have a heavy fall. The screen is the most important ingredient of a smart phone. We undertake to repair cracked screens and broken lenses of all types of smart phones. Repairing is one aspect of our expertise. We can cater to other non-repair services too. You may need services such as prepaid cell phone services. You may also have locked your smart phone accidentally. We can unlock them for you enabling you to be in touch with your loved ones especially when you travel abroad. You need not have to buy a new phone in the new country. We undertake to unlock your phone in a moment. We have a strategic location in Los Angeles. This enables us to serve the entire greater Los Angeles area including all the major districts as well as sectors of the city. We extend our services to areas as far flung as Van Nuys, El Segundo, Long Beach, and Marina Del Ray. You can also find us serving people from the areas of North Hollywood, Malibu, Beverly Hills, as well as Venice. Redondo Beach, Santa Monica, and Culver City are also under our radar of services. Our unique serve on site policy allows us to serve such far-flung areas with a great deal of efficiency. Anyone wishing to get their iPhone repaired can either bring it to our service center or courier it to us with all your information. We undertake to repair the same and send it back within three days. As far as payments of our bills are concerned, you can use any of the top payment platforms such as Simple Mobile, Air Voice, and AT & T etc. We deal in sale and activation of sim cards, both prepaid as well as postpaid. You can contact our shop at 310-402-3574 and obtain the most competitive prices. We can repair any type of iPhone, iPad, Android, Samsung, as well as tablets. You can also bring your computers and laptops to us for repairs. We offer these services too. Though we can repair any phone, our specialty remains the iPhone. Right from the initial models such as 3G, 3GS to the latest 6 and 6S, every iPhone is with our reach. We can replace the broken screen, digitizer, lens, and the LCD. We can also unlock your locked phones in case you miss your password or forget your lock screen pattern. We can do this without compromising on the important data stored in your phone. You can expect the work to be done while you wait at our shop. We have a great reach encompassing the entire city of Los Angeles as well as most of its surrounding areas such as Marina Del Ray and North Hollywood, to name a few. In case you reside in these areas, you can easily visit our phone repair center and see your phone under service. In case you do not reside in Los Angeles, there is no need to feel depressed. You can still use the courier to send the phone to us. We shall go through your instrument in its entirety and service it to make it appear as new as it was when you bought it. You can use our payment platform to pay your phone bills too. Purchasing and activating sim cards will never be a chore for you now. We have an entire department ready to serve you in this matter. You need not worry about the cost of repairs though. We value your money as we do our own. 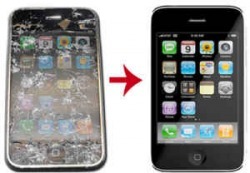 We can repair these phones for you at the best prices in the entire city of Los Angeles. You can courier your damaged phones to our address at 1415 S LA CIENEGA BLVD. LOS ANGELES,CA 90035. You can contact us at 310-402-3574 and obtain the cheapest price in town. You can email us at iphonerepait310@gmail.com. We rank at the top of the ratings on Yelp. We invite your likes and shares at Face Book. We love to share our tweets on Twitter. You can find us active on Google + too. Come pay us a visit. We would love to have you around. LA iPhone Screen Repair, iPad Screen Repair, and Unlock iPhone Center is a computer, mobile phone, iPad repair shop. We offer various services for example sim unlocking, mobile phone damage repair and phone lock code removal. The LA iPhone Screen Repair, iPad Screen Repair, and Unlock iPhone Center boasts as one of the very best repair shops in Los Angeles. There are a couple of reasons why it is one of the most visited repair shops in the whole of Los Angeles. At the LA iPhone Screen Repair, iPad Screen Repair, and Unlock iPhone Center, your phone or computer is fixed while you wait and when it is done you leave with it. This fast service gives them a advantage over many other repair shops. Technicians at the LA iPhone Screen Repair, iPad Screen Repair, and Unlock iPhone Center has highly trained and experienced individuals who will fix your damaged cell phone, Tablet, iPhone or iPad and make it seem as it is new. There is also a spirit of professionalism at the repair shop which makes it easier for customers to keep frequenting the shop. The LA iPhone Screen Repair, iPad Screen Repair, and Unlock iPhone Center has service on site policy which enables them to reach many clients from the greater Los Angeles area. Whenever they are on location they have with them the necessary equipment to perform their best services to the people with phone needs. When you are not able to visit the LA iPhone Screen Repair, iPad Screen Repair, and Unlock iPhone Center has put measures in place to allow customers to send their damaged and broken phones via mail. This platform eases the need to move around and eases long queues at the repair shop. The only requirement for using the mail to send your order via mail is that you send your full information along with your phone and you will receive it fixed and repaired after three days. The LA iPhone Screen Repair, iPad Screen Repair, and Unlock iPhone Center uses original spare parts for all iPhones and other cell phones. These makes it easier for potential customers as it is very rare nowadays to find shops with genuine spare parts. This means that when your phone gets fixed it will be highly unlikely that it will get functional problems as the parts are compatible and long lasting to the device be it iPhones or phones using other operating systems. At the LA iPhone Screen Repair, iPad Screen Repair, and Unlock iPhone Center there are many services offered and among them is the factory unlock. Factory unlocking ensures that a phone is not confined to one network. It allows the phone be compatible to any sim card in the world. This is quite helpful to customers who often travel a lot to other countries. There will be no need to buy different phones every time you visit another place as you will only be requires too only buy a new sim card. Other unlock services include sim unlock which is also very helpful to travelers as they will be able to avoid costs such as data roaming charges. There is also phone lock removal for those people who forget their phone lock codes enabling you to continue accessing your device when they reset the lock codes.